School holidays offer great opportunities for Australian ‘blackbirders’ operating on the Kokoda Trail. 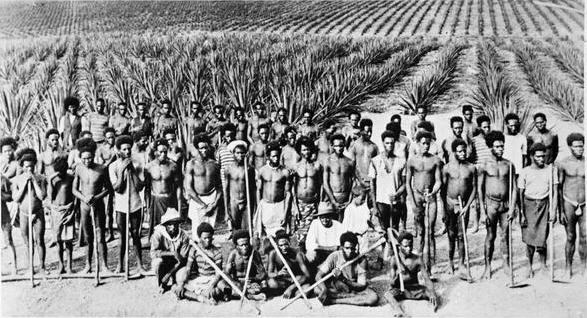 Blackbirding was a form of slavery which saw Papua New Guineans coerced into working as cheap labour on Queensland sugar plantations in the late 19th Century before it was outlawed. However the practice has mutated into various forms since then and now involves shady operators who have cashed in on the Kokoda trekking industry over the past decade. Papua New Guinea is a governance free zone for blackbirders who are not subject to the same scrutiny they would receive in Australia. 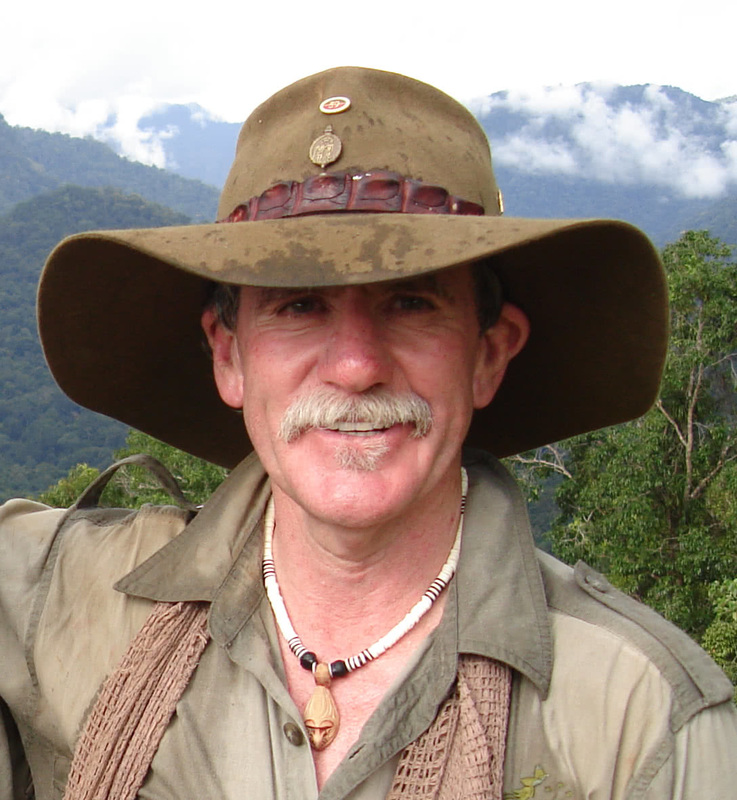 The current dysfunction and debasement of the Kokoda Trail management authority provides them with free rein to promote themselves as legitimate. They are akin to a malarial parasite running through a quinine free bloodstream. There are no limits to the extent they can exploit local Papua New Guinean guides, carriers and villagers who live in a subsistence economy and are desperate for work. They are slick and hard to detect. 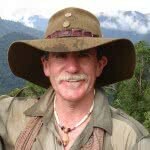 They have established their own ‘Kokoda Tour Operators Association’ to disguise their exploitation and provide a form of self-legitimacy. Their websites boast of emotive ‘passion for our diggers’ amid claims to be ‘historians – explorers – adventurers’ even through there is no prior record of their commitment to these ideals through previous active service or support to veterans’ organizations. It seems more than coincidence that their faux passion happened to coincide with the opportunity to make a dollar out of it. Papua New Guinea provides a fertile environment for these rent-seekers. There is no governance in the operation of the management authority or any legitimacy in the licensing systems or Code of Conduct. There is no legal impediment to copyright breaches on website claims and no Duty of Care for trekkers, guides, carriers and villagers. The most odious practice they adopt is the claiming of a 50 percent discount on trek fees for Australian private school students. This means subsistence villagers along the trail are required to subsidise the sons and daughters of some of Australia’s wealthiest citizens from some of the most elite private schools.. The ‘subsidy’ was originally introduced during the establishment of the Papua New Guinea Kokoda Track (Special Purpose) Authority in 2003. There were only three trek operators at the time and one of those, Niugini Holidays, argued against the introduction of a trek fee which was designed to ensure villagers along the trail would receive their fair share of benefits from the emerging trekking industry. They were unsuccessful in blocking the introduction of a trek fee so they argued for a 50 per cent discount for Australian students which were a significant part of their clientele at the time. Papua New Guinea therefore became the only country in the world to tolerate such an abhorrent practice. No Papua New Guineans were involved in the discussion or the decision. This anomaly was brought to the attention of Australian Government officials when they assumed responsibility for the Kokoda Trail in 2009. Unfortunately it was ignored as trek operators realised it provided a tidy cash-flow supplement for their business. Papua New Guinea leaders who have a responsibility for the trail privately agree that their villagers should not have to subsidise wealthy private school students but nobody will take the action step to end the abhorrent practice. Under normal circumstances one should be able to rely on the moral compass of operators to appreciate the immorality of claiming such a subsidy and pocketing the discount but blackbirders have proved to be a different breed. Objectionable rorts practiced by blackbirders include overloading their Papua New Guinea carriers by 4.5 kg above the maximum weight allowable during the Kokoda campaign (one collapsed and died recently) and their failure to provide for their welfare – none are issued with a sleeping bag and mat to provide protection against wet ground and near freezing temperatures in the upper reaches of the Owen Stanley Ranges – they are just told to bring their own blanket! School groups and trekkers attracted by the cheaper options offered by blackbirders are guilty of exploitation by association if they fail to verify that they don’t claim student discounts; they don’t overload their carriers; and they do provide sleeping bags and mats for their Papua New Guinean support crews. Sadly many trekkers unwittingly support these rogues, especially those who go for the cheapest rather than the best. The sooner this terrible practice is completely wiped out, the better. Thanks for the article Charlie. I always find it ironic to read trekkers report how much they loved their guides and carriers after they elect to go with low-rent companies that exploit them because they are cheaper. They are so obsessed with their own ego’s that they fail to check to see if they are overloaded; they don’t check their sleeping quarters to see if their operators have provided them with the basic comforts to protect them from the wet and cold; they don’t check to see if their food is adequate; etc. etc. They hand out a few balloons to village kids along the way and feel soooo good and so pleased to have crossed Kokoda off their bucket lists. The Blackbirders get away with it because they can!